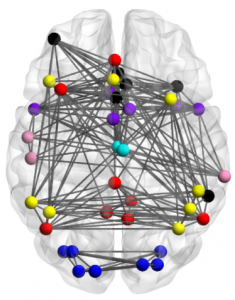 Our brains operate through electrical activity across complex neural networks. Understanding neural electrophysiology has long relied on the quantitative foundation pioneered by Hodgkin and Huxley with their Nobel Prize winning mathematical model for neuron action potential generation. Building on this quantitative formalism, computational modeling of neuron and network electrical activity has become an integral part of neuroscience research. Indeed, our understanding of systems and circuit-level mechanisms of brain function is rapidly proceeding through the integration of experimental techniques with quantitative analysis and modeling methods. Neural engineering also depends on this quantitative framework for the development and implementation of devices for recording, manipulating and controlling neural processes. Additionally, quantitative models and analyses are vital to developing theories for neural encoding of information and computational principles of the nervous system. Lastly, and perhaps most importantly, advanced computational methods are necessary to model the complex signal transduction mechanisms and related neurophysiological processes using disciplines ranging from network theory to differential equations. Computational algorithms also are critical for interpreting the massive amounts of complex experimental data obtained by today’s advanced neuroscience research techniques. Conducting research in all these areas of modern neuroscience requires training in programming, analytic, and computational methods. Quantitative training also prepares neuroscientists to participate in team-based interdisciplinary investigations that leverage the combined expertise of scientists from experimental, quantitative and engineering fields to understand the brain. The Rackham Graduate Certificate in Computational Neuroscience is U-M’s response to the increasing prevalence and need for quantitatively trained researchers in neuroscience. The Certificate will be administered jointly by the Neuroscience Graduate Program (NGP) and the Michigan Institute for Computational Discovery and Engineering (MICDE). The Certificate provides training in interdisciplinary computational neuroscience to graduate students in experimental neuroscience programs and to graduate students in quantitative science programs, such as physics, biophysics, mathematics and engineering. The curriculum includes required core computational neuroscience courses and coursework outside of the student’s home department research focus, i.e. quantitative coursework for students in experimental programs, and neuroscience coursework for students in quantitative programs. To gain valuable experience in interdisciplinary science and collaboration, students are required to participate in an interdisciplinary journal club and to complete a practicum in interdisciplinary computational neuroscience. Completion of the certificate will prepare students to participate in modern, team-based neuroscience that applies both experimental and computational methods to unravel the mysteries of the brain. Please see the menu to the right for more information, and contact neuro-micde@umich.edu with any questions.